CBRE Executive Vice President Dave Desper has recently completed a lease transaction with C.J. Segerstrom & Sons on a 100,276-square-foot, state-of-the-art Class A industrial building currently under construction in South Coast Metro’s Harbor Gateway Business Center at 1585 MacArthur Boulevard. 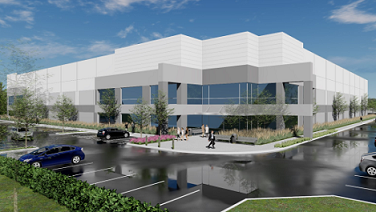 Health supplement manufacturer Robinson Pharma, Inc. is expected to move into the new facility, which will have approximately 7,000 square feet of office space, in the second quarter of 2019. Robinson Pharma currently has five industrial buildings on South Coast Drive and in the Harbor Boulevard vicinity. Robinson Pharma is a full-service contract manufacturer of soft gels, tablets, capsules, powders and liquids for the dietary supplements and personal health care industries. It currently has the largest soft gel capacity in the United States, a leading vitamin manufacturer with multiple third-party certification for GMP Compliance. Desper has been providing professional real estate services with CBRE since 1990 and currently focuses on industrial/R&D Corporate Headquarter facilities. Since 1996, he has completed over 2,400 transactions, representing over 100 million square feet including 309 sales transactions for more than 20 million square feet and 42 land sales for more than 500 acres.